We ensure you are 100% satisfied with every stage of design and development before your website goes live. Get started today with the best Web Design company in Perth. A company who ensures clear communication is a focus the entire way through the process. At Web Creation, we work with your goals to deliver the highest quality, all the time, every time! We know your website is a window into your business, and we want it to grab the attention of your customers and keep them captivated, generating leads and ensuring a rise in conversion rates. Web design for our team is second nature and we will create solutions according to your industry and needs. We’ve worked with businesses in various industries such as retail, mining, construction, health & fitness, education, motor vehicle, aviation and so much more. session bookings for beauty clients and sporting events… and these are just to name a few. We know what you want when it comes to web design and our services are ideally suited to your unique business needs. That’s why we are your one stop solution to all your website, domain, hosting and online graphic needs. We create masterpieces! To ensure you are 100% satisfied with our services, at each stage of the process (scope, design and development) we get your feedback and won't proceed until you are totally satisfied with what we've delivered*. This is how over the years, we have won accolades and distinguished ourselves with our work. We have done a huge variety of work with small to medium enterprises in fields such as: retail suppliers, health & fitness, contract lawyers, ecommerce sites, HTML, WordPress and advanced websites. * Delivery of your design and development service is based on the agreed contract and scope of works for your project. Perth - we work with a comprehensive step by step approach to address the unique outline of your business and mirror your brand identity online. We aim to develop structure for your website that aligns with your brand vision and target audience. TEAM BRAINSTORM - Through collaborative discussion we'll listen to you and your goals and then develop a unique web experience that delivers the best results for your specific needs. PROFESSIONAL DESIGN & DEVELOPMENT - Taking into consideration your brand, industry and preferences, we'll come up with a customised design. Implementation of conversion tactics and quality coding ensures your website is prepared for the search engines especially focusing on your Perth brand visibility. PROJECT TESTING & REVISIONS - Thorough testing of all the latest browser versions and mobile optimisation is the final step before we hand it over to you to ensure you are completely satisfied with the project. Request A Web Design Quote Perth! 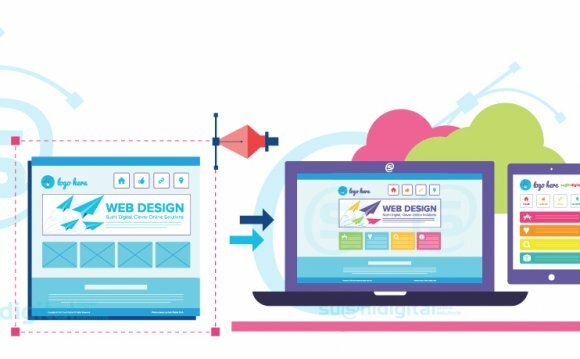 We believe every client, no matter what the business, background or budget, has the right to develop their online marketing strategy through a unique and functional website. But our assistance can go so far beyond that. We draw from past experiences and, moulded together with new learning of procedures and current industry products, we develop a unique and reliable solution on time, every time. So if you are looking for a web design Perth that is completely relevant to you and your business image then get in touch with us and see for yourself how we have set ourselves apart from the rest in the industry.